These Single-Use Gloves Provide A High Degree Of Dexterity For Complete Control While You Work. Smooth Finish Offers Excellent Tactile Sensitivity For Handling Intricate And Delicate Products. Natural Rubber Latex Material Offers Remarkable Strength And Comfort. Rolled Beaded Cuff Ensures A Secure Fit Around The Wrist. 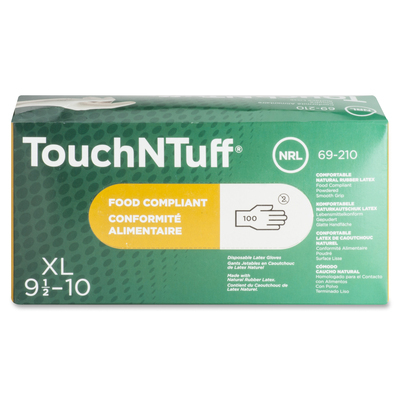 Powdered Gloves Are Perfect For Food Packing, Foodservice, Lab Analysis And More.. These Single-Use Gloves Provide A High Degree Of Dexterity For Complete Control While You Work. Smooth Finish Offers Excellent Tactile Sensitivity For Handling Intricate And Delicate Products. Natural Rubber Latex Material Offers Remarkable Strength And Comfort. Rolled Beaded Cuff Ensures A Secure Fit Around The Wrist. Powdered Gloves Are Perfect For Food Packing, Foodservice, Lab Analysis And More.